My India travels continues as we head to the magnificent state of Rajasthan and the city of Jaipur often known as the pink city. 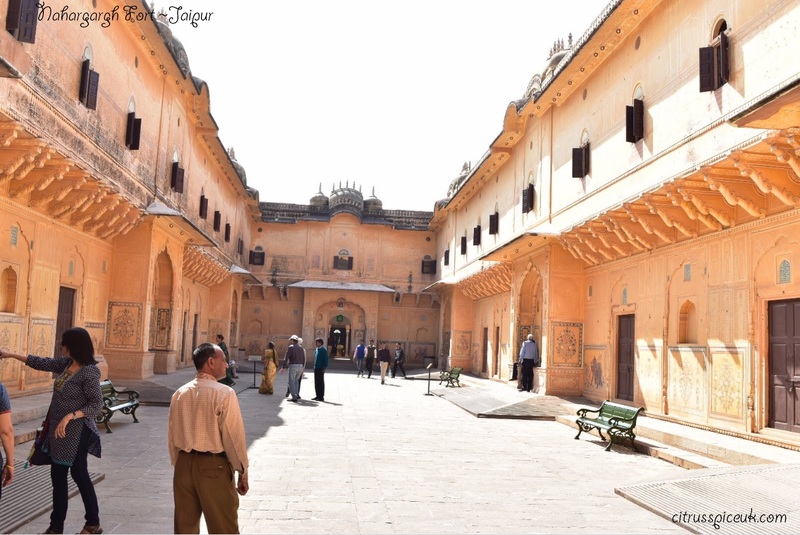 Jaipur was established in 1727 by Jai Singh II, and it is one of the largest city of Rajasthan. 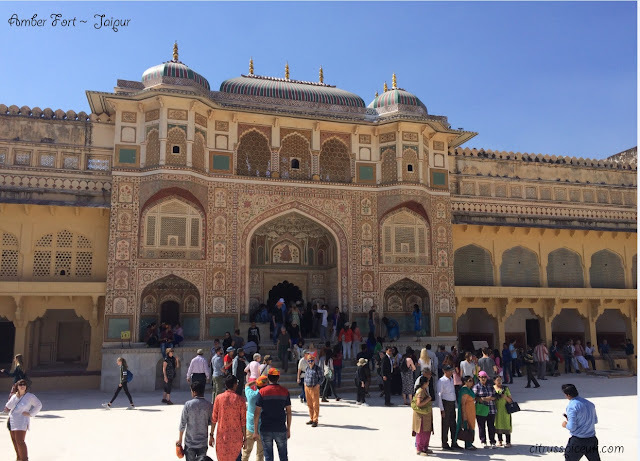 Jaipur is magnificent with beautiful architecture, it has the most eye catching and majestic fortresses, palaces, temples and beautiful havelis. The best time to visit this place is between October and March. The weather although is hot is still bearable. Amber Fort is situated next to the Maota lake on the rocky hill of Cheel ka Teela (Hill of Eagles) that overlooks the Jaipur. It was built by Raja Shri Maan Singh JI Saheb’ (Maan Singh I) and It dates back from the 16th century. 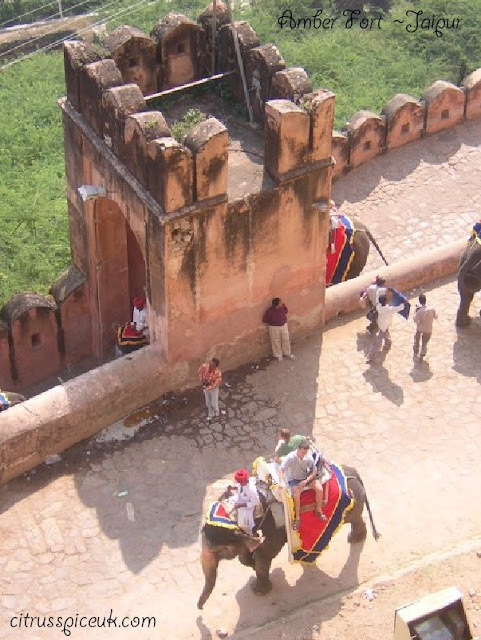 The fort can be reached by car, on foot or by elephant rides which take you to the grand entrance of the fort. Inside the palace there are many state rooms, lots of beautifully carved architecture, courtyards and chambers. The most intricate and beautiful room in the fort is the Sheesh Mahal the Mirror Palace. 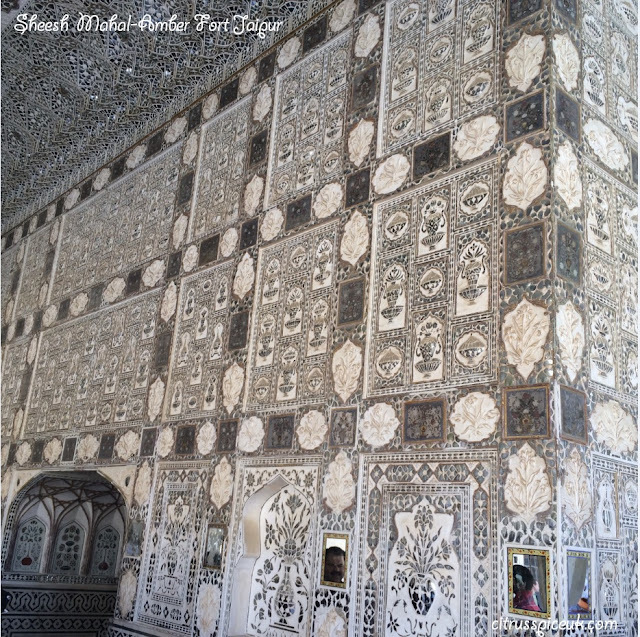 The walls and ceilings are carved with floral patterns that are inlayed with glass mirrors. It is thought that if a candle is lit in the Mahal, it will replicate a starry night. The Maharaja built this room for his queen who wanted to sleep under the stars but since Royal women were not allowed to do this this was to replicate the experience of sleeping under the stars. To make the most of the fort I would highly recommend getting an English speaking guide who will be able to give a detailed history and tour of the fort. 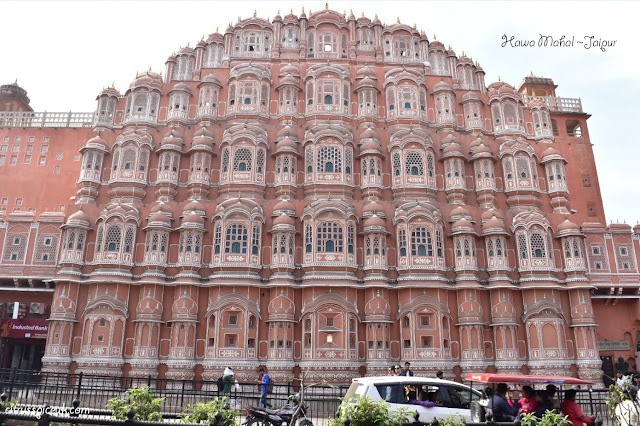 Hawa Mahal was built in 1799 and it was an extension of the city palace. 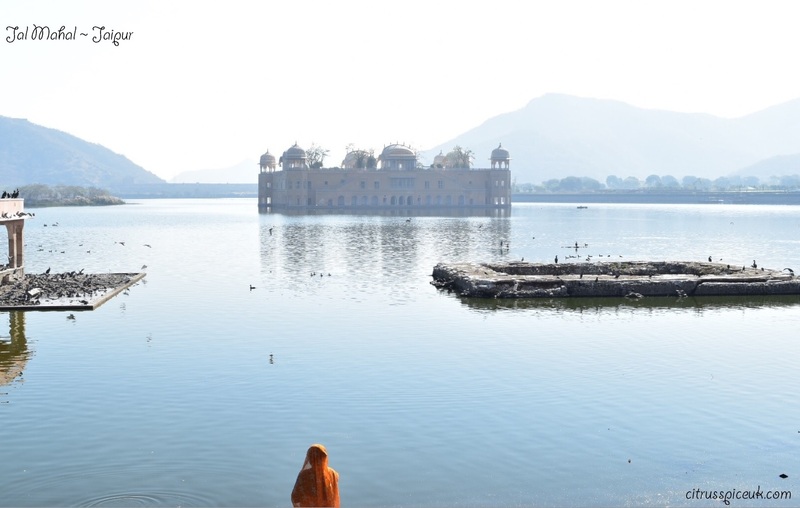 The palace spans out over five floors and the inside boasts beautiful and intricate Rajput and Islamic architecture. It has a very iconic honeycomb structure created by pink sandstone. These structures are actually the palace windows made from detailed lattice work made in a typical Marwari design. It was thought that the queens and the royal women in palace used to sit behind the windows, out of sight so they could watch royal processions or religious ceremonies. The windows also provided air to travel through the lattice to keep the palace cool hence it was given the name Hawa Mahal meaning palace of winds. 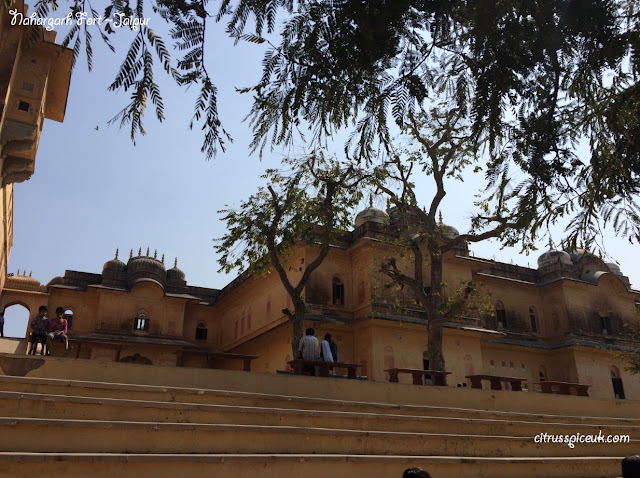 Whilst in Jaipur we also visited Nahargarh Fort, Nahargarh which means 'abode of tigers'. It is located in one of the oldest mountain ranges of the world, the Aravalli Hills. 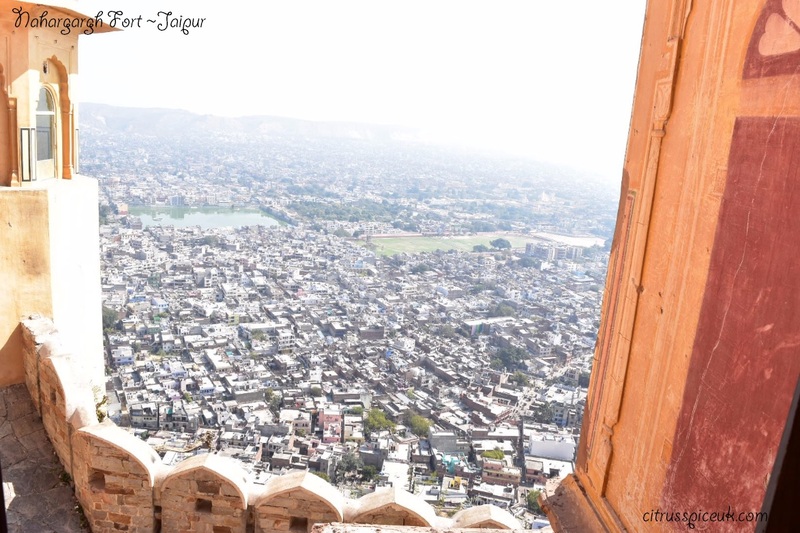 The fort can be reached by car along a long winding mountain road, there are many places to stop to admire the beautiful and spectacular views of Jaipur. It is known that Nahargarh Fort, Amer Fort and Jaigarh Fort are all connected and were used as defence for each other. The fort is a two storey building with many rooms and beautiful Indian and European style of architecture. 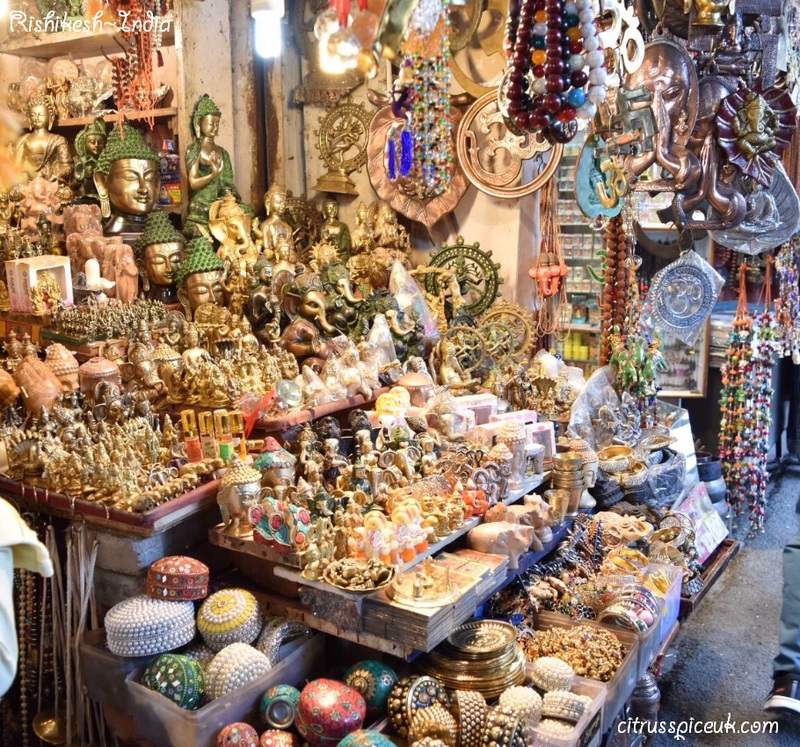 Apart from sightseeing, shopping in Jaipur is plentiful, there are many shops on MG Road and lots of bazaars leading off the main road too. You can buy clothing and ethnic attire, hand-dyed and embroidered textiles, pretty jewellery and delicious food. The city is a rainbow of bright colours and it is very visually appealing. Since we only spent two nights in Jaipur we wanted to make the most of the city, together with sightseeing and shopping we were looking for a Rajasthani cultural experience whilst dining. 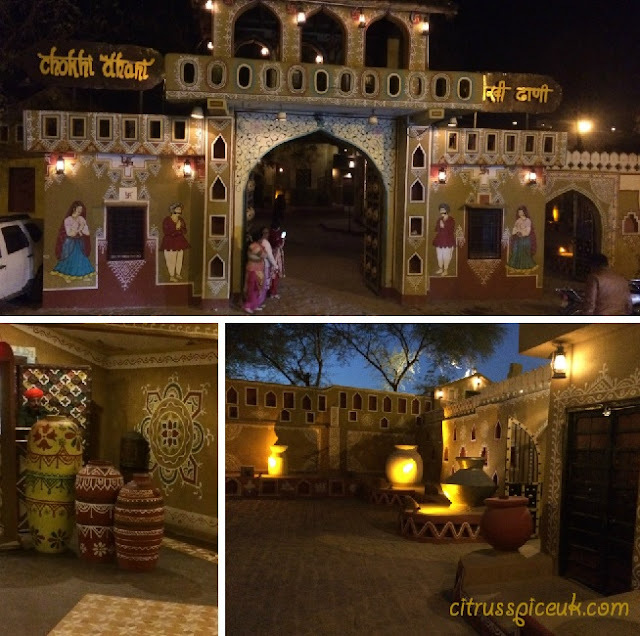 This we found when we visited Choki Dhani, which captures this perfectly in a rural village setting decorated with traditional artefacts and furnishings and serving Rajasthani cuisine in a very authentic and homely way. Our experience of Choki Dhani was very enjoyable and it is worthy of a separate blog post which is next on the agenda. Time permitting there are many other places to visit in Jaipur such as the Jaigarth Fort, Jantar Mantar stone observatory and Birla Temple. Since we only had two nights to spend in this beautiful city. I think we managed to pack in all the key things we wanted to experience. This week on Sunday, I had little M, my niece over to spend the afternoon with me. She is really excited because her parents have told her that they are going to Hawaii for their holidays .. She told me she has seen pictures of ladies in grass skirts and flowers in their hair, and she is going to wear a grass skirt and flowers in her hair too when she goes there. I tried to explain to her that ladies don't walk around with grass skirts which was quite amusing to picture but there is a Hawaiian dance that they perform where they wear these grass skirts and put flowers in their hair. To make the smoothie we added 100 ml coconut milk, 1 cup of ice cubes, 200 grams of fresh pineapples chunks, 3 medjool dates to add sweetness and about 10 almonds to the Optimum 9400 blender and blended the mixture for 30 seconds. 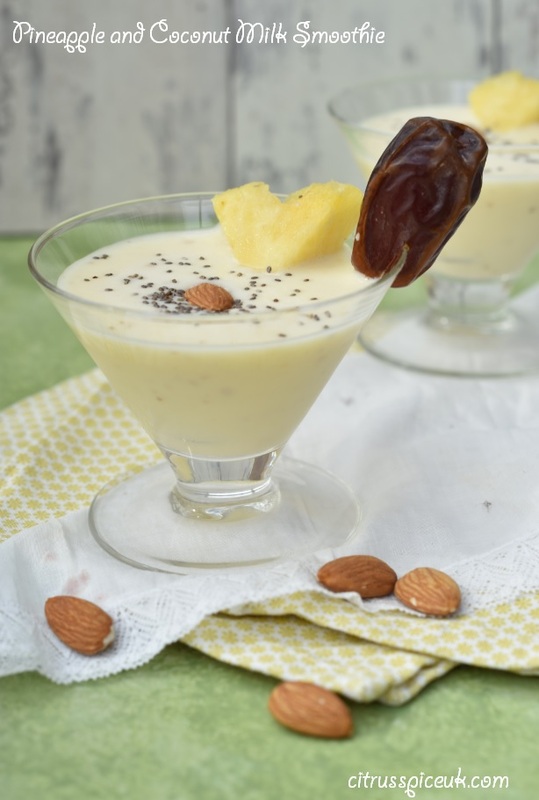 The smoothie was absolutely delicious garnished with a sprinkling of chia seeds, a chunk of pineapple and a medjool date. 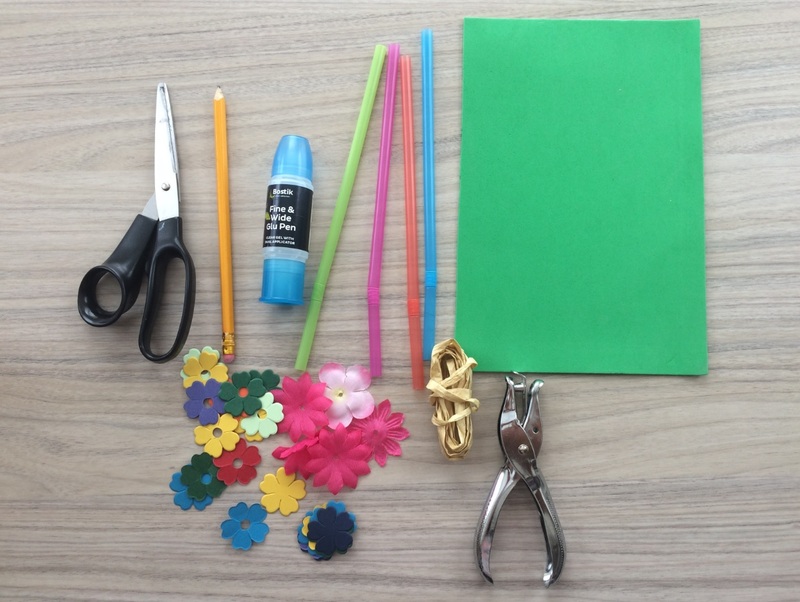 After our refreshments we looked through the bostik challenge box and found lots of flower and garden themed crafting things. 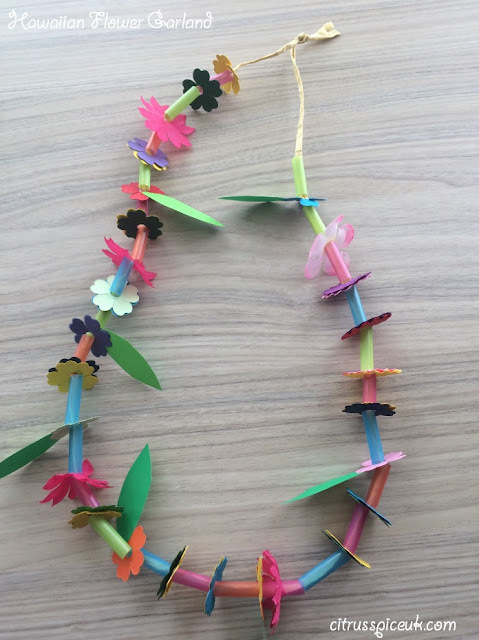 We decided to make Hawaiian flower garlands to wear. 1. Cut the straws into 1 inch piece and keep aside. 2. Using the single hole punch , punch holes in the centre of the precut flowers so that we can thread them onto the rafia. 3. On the green card draw a leaf shape approx 1 inch long and cut out 6 leaves. 4. 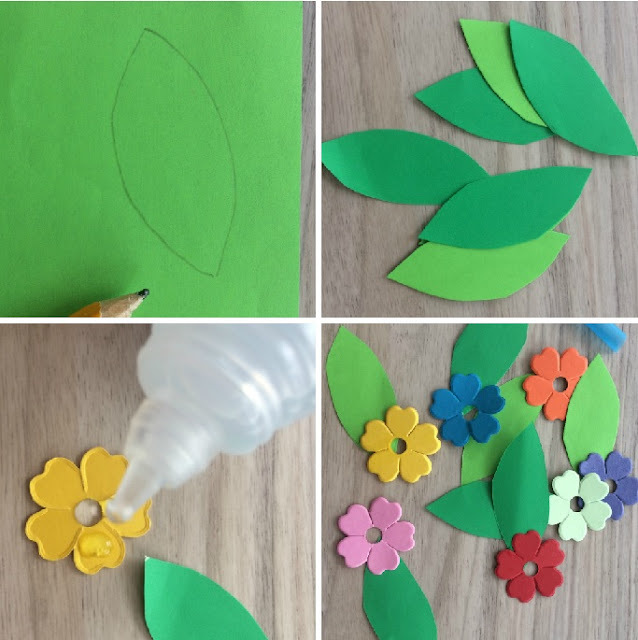 Glue 1 leaf to each flower using bostik glue and leave remaining flowers with out leaves. 5. Take the rafia and thread onto it the flowers alternating the colours and also alternating the ones with leaves and ones without. 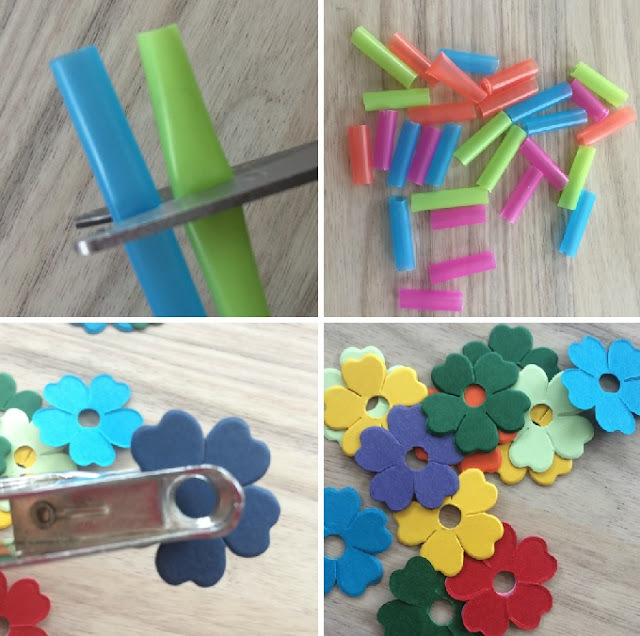 6.Use the precut straws as a spacers between the flowers. 7. 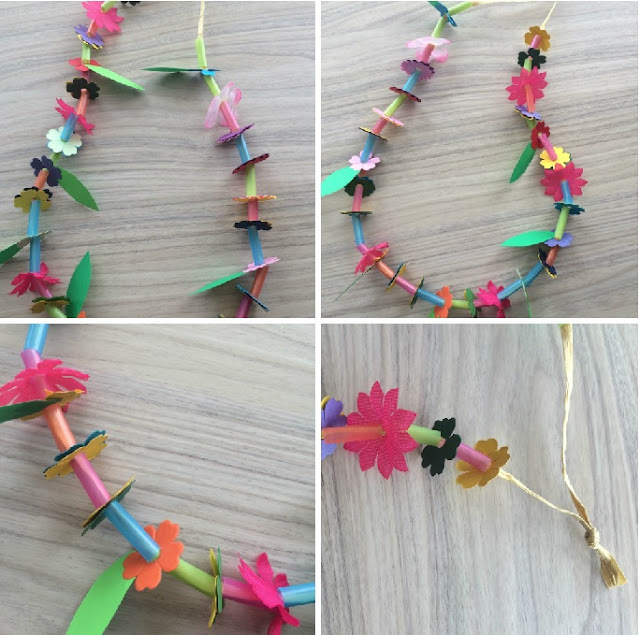 When all the flowers are threaded on tie both ends on the Rafia to make a garland. The flower garland is ready to wear. This craft is suitable for young children although,adult supervision may be required for using scissors. Rishikesh was the next destination on our India itinerary after visiting Haridwar. Rishikesh is in state of Uttarakand. It is set in Himalayan foot hills where the ganges flows. The history behind Rishikesh is that has been a part of the legendary 'Kedarkhand' now known as Garhwal; a princely state that was ruled by the Garhwali Rajput Dynasty. It is thought that Lord Rama did his penance at this place after he killed the demon King Ravana. 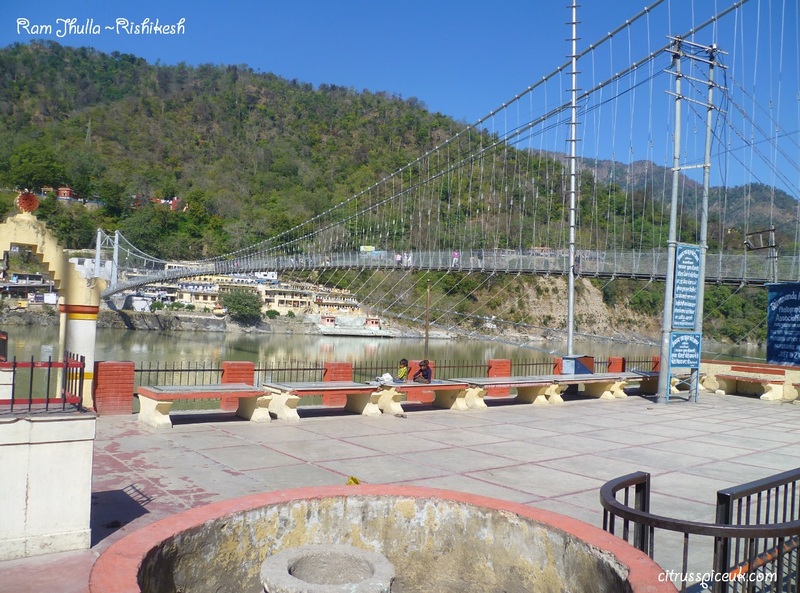 There are many temples and ashrams to visit in Rishikesh, together with places like the Ram Jhula and the Laxman Jhula. These are foot bridges spanning over the Ganges where Laxman and Lord Ram had used to cross the Ganges. The bridges which were originally made from rope were reconstructed from steel to make them more durable. We walked across these to cross the river from one side to the other, the crossing can be made by boat also. Rishikesh is also well known for Ayurveda treatments and there are many centers that offer coaching and training in ayurvedic medicine. It is a home for travellers seeking solace, spirituality and yoga. 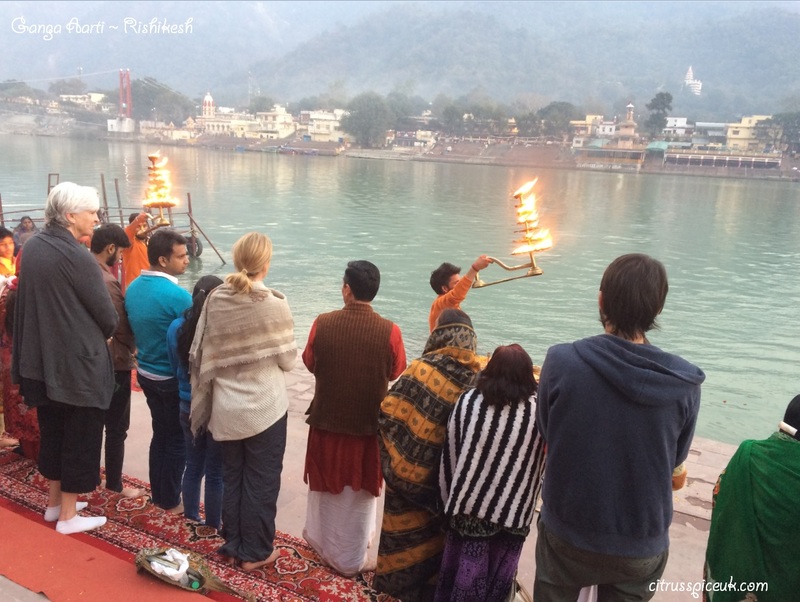 Pilgrims flock to Rishikesh to offer prayers to the Ganges and it is also the starting point for travelling to the four Chota Char Dham pilgrimage places - Badrinath, Kedarnath, Gangotri, and Yamunotri. 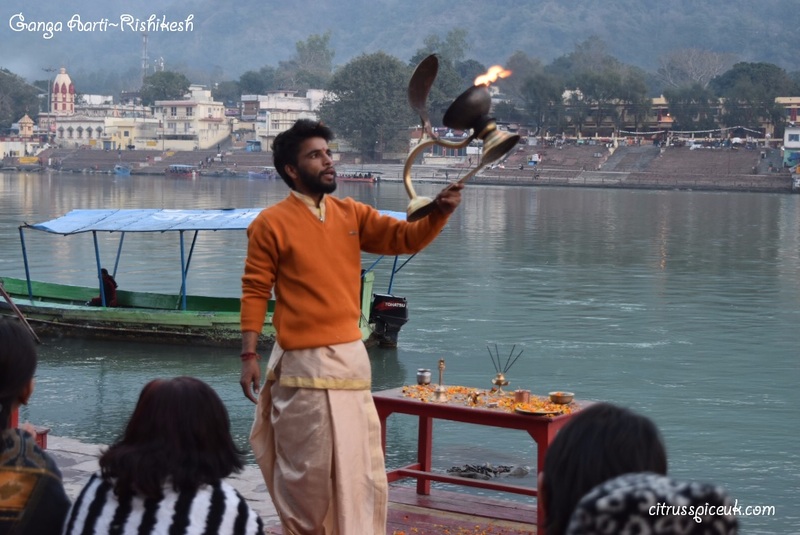 Like Haridwar Rishikesh also offers Ganga Aarti, it is conducted at the Triveni Ghat and is also at the Parmarth Niketan but because both aartis are performed at sunset we had to make the choice to attend one of them only. The aartis are beautifully conducted using fire lamps and synchronised to spiritual music. The visitors are invited to partake in the aarti too, volunteers passed around the divine lighted lamps for everyone to participate. The dramatics of the aarti are little staged for the tourists but never the less it is beautiful, more serene and calmer than our experience of the Ganga aarti at Haridwar. 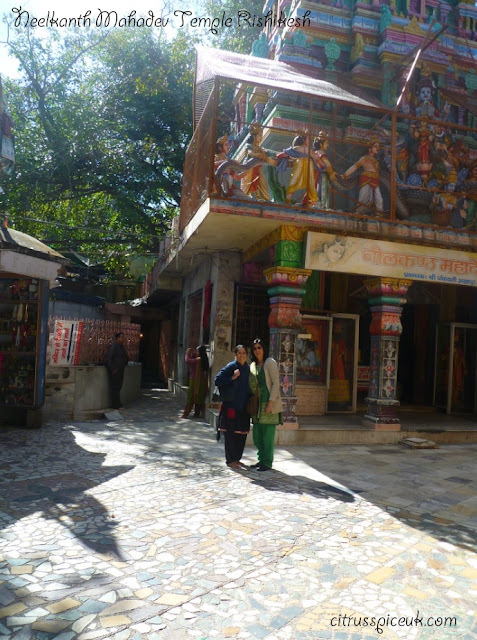 The highlight of our trip to Rishikesh was the visit to the Neelkanth Mahadev Temple. It is a Hindu temple dedicated to Nilkanth, an aspect of Shiva. It was thought the temple is marking the place where Lord Shiva saved the world by drinking the poison churned from the ocean. 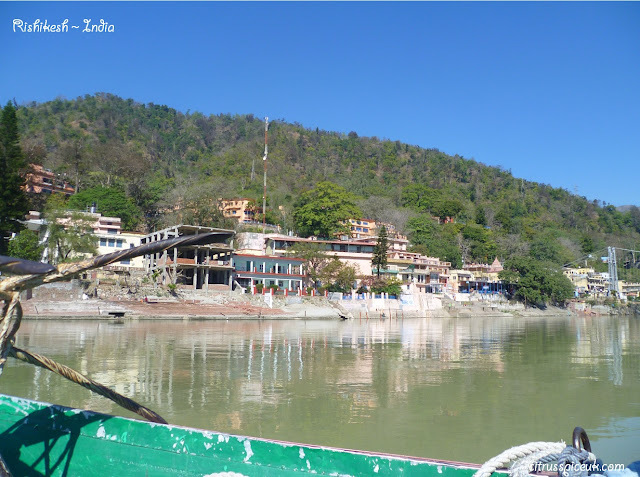 The temple is situated 32 km from Rishikesh, high up in the valleys of Manikoot, Brahmakoot and Vishnukoot and is located at the meeting of the rivers Pankaja and Madhumati. 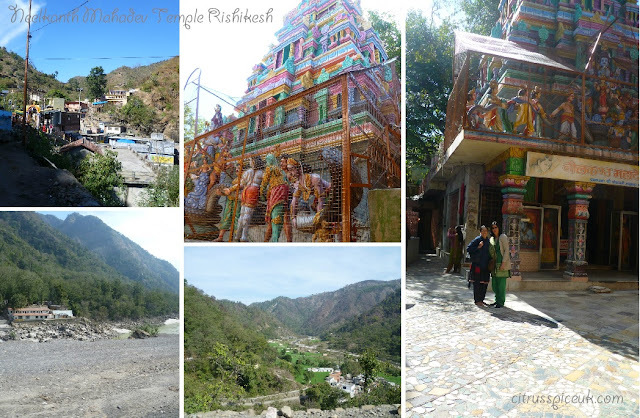 The ride up to the temple which is situated 1330km high is through steep and narrow winding mountain roads. The scenery is spectacular and you will catch glimpse of many wild life residing in the mountains especially monkeys. Along the route, dotted on the river banks of the Ganges there are many campsites where travelers can stay and enjoy white water rafting. You can also find many Ashrams in the woodlands offering travelers a retreat to practice yoga and meditate. The temple itself is pretty small, the walk up to the temple from the car park is lined with vendors selling religious artifacts and flowers and offerings. There are many food and tea vendors dotted around too. We did find that we had to queue up to visit the inside of the temple to offer our prayers to the Lord Shiva shrine inside. The queue did not seem too bad and worshipers were creating a beautiful spiritual atmosphere as they chanted the name of lord Shiva whilst queuing. Once we reached the darshan point, we were able to offer our prayers but we did feel it was a little rushed and personally, I would have like to have had a little more time to soak up the atmosphere. Sadly because of the volume of people there this was not possible. Ideally it would be better to visit the temple at off peak times but due to its reach it’s difficult to make the journey too early or too late in the day as the roads are very tricky leading up to the temple.I would highly recommend visit to this temple both for the Darshan (prayers) and for the views which are spectacular. 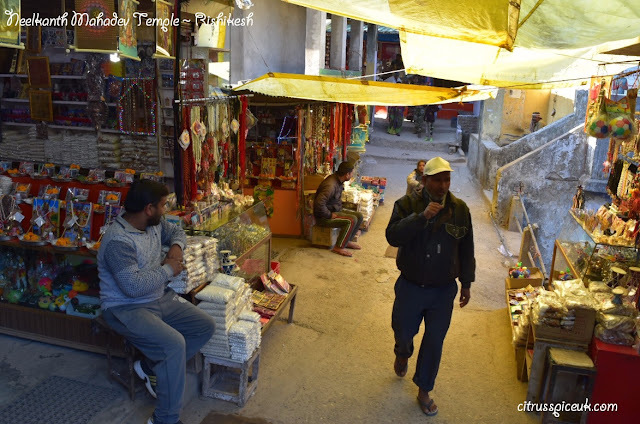 On day two of our stay at Rishikesh we spent the day wondering around the shopping area, there are three tourist markets, one near Laxman Jhula, one near Ram Jhula and the third near the Triveni Ghat. In the markets you can buy many handicrafts, a range of religious paraphernalia, costume jewellery, kurta tops, cotton trousers and beautiful and colourful cloth bags and scarves. 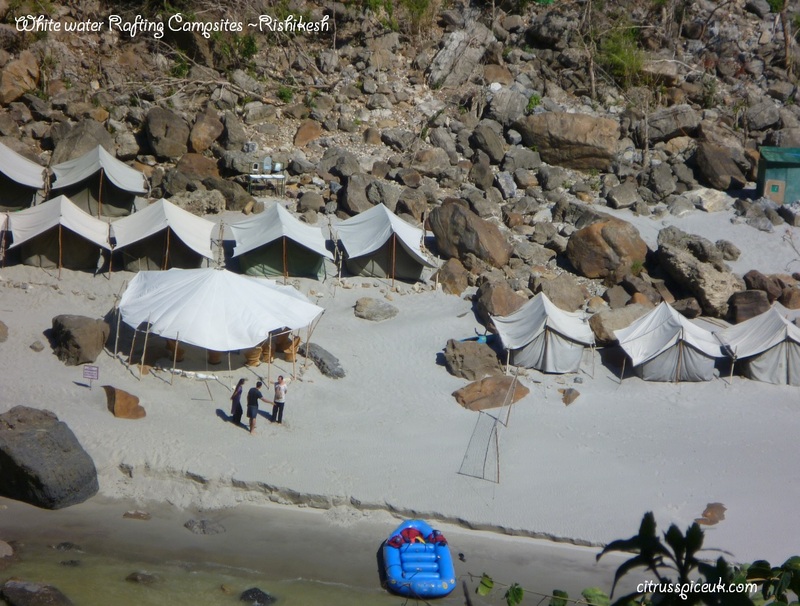 For the more adventurous people there are many other things to do in Rishikesh such as bungee Jumping, Trekking, white water rafting, camping, kayaking and rock climbing too. 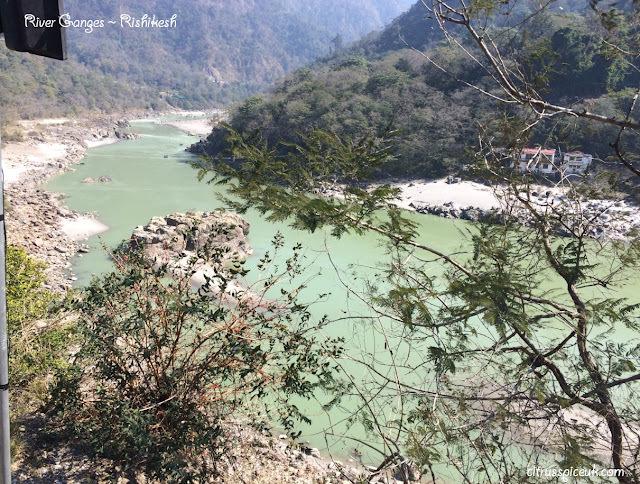 In all our experience of Rishikesh was serene calm and beautiful and I would love to return for a longer stay and to perhaps attend a yoga retreat.